After getting a ton of requests to do a scarf wrapping tutorial, we FINALLY are sharing one! We apologize for how long it took for us to get it up! 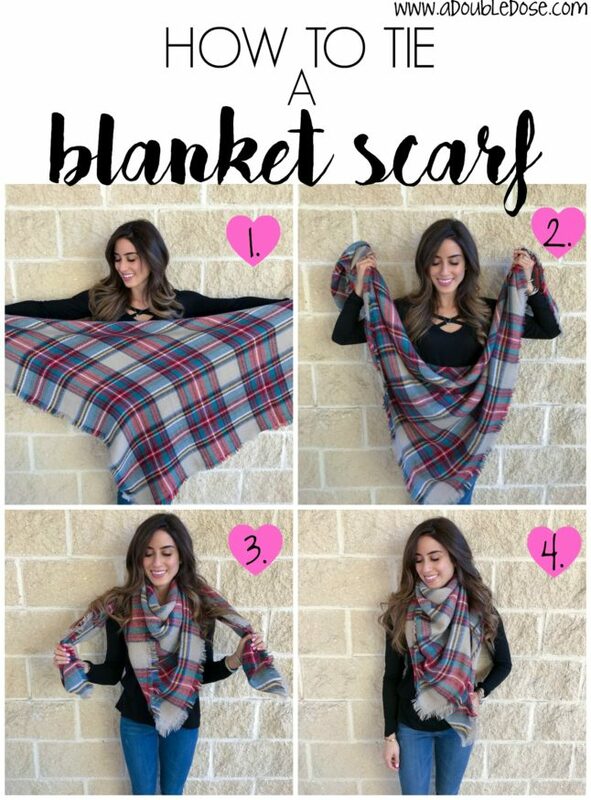 Honestly, it is nothing crazy or hard to do, and you can do it with any scarf! Start with the scarf folded diagonally. Grab the ends of the scarf. Cross the ends behind your neck, and then bring them back around the front of your neck. Tuck ends under the front of scarf. DONE! I love the other scarves that are featured!